Hello there guys, I decided to join the Friday Photo Flashback meme since we have plenty of old photographs. This is my very first entry so I am posting the first time that I brought my husband into our province. 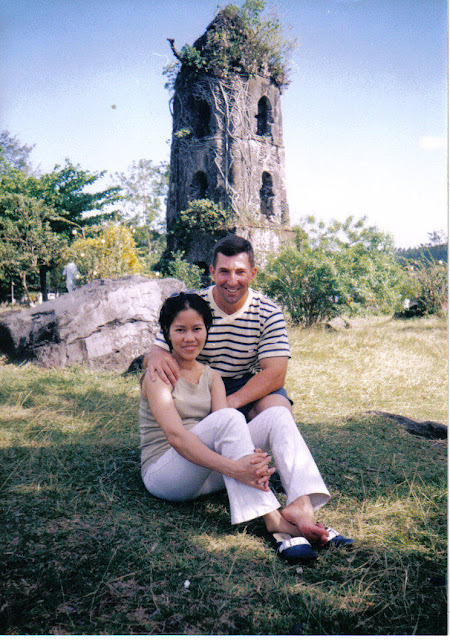 This was taken In Cagsawa Ruins in Daraga, Albay 6 years ago (March 2003).